Your side mirrors play an important role in road safety. A good set of side mirrors functions well, provides rearward visibility, and looks great on your car. If one of your side mirrors is broken, you can choose between two types of replacement side mirrors: OEM and aftermarket. The whole point of having side mirrors on your car is to be able to see the other cars around you. Ford makes sure its OEM side mirrors are the right shape and size to work with your model and to provide maximum visibility. Aftermarket side mirrors rarely meet OEM side mirrors’ specs. Your visibility will likely be reduced if you install aftermarket side mirrors on your Ford. If you have a broken mirror, you can just replace that one while leaving the other mirror alone. However, if you decide to go the aftermarket route, you’d have to replace both mirrors to make sure they match. Technically, you could just replace the broken one with an aftermarket unit, but it’d look mismatched and, quite frankly, terrible. If you want to save time, money, and the hassle of replacing both mirrors, get just one OEM replacement unit. It will match your remaining mirror. The only exception is upgrading to side mirrors that contain more features. For example, if you have OEM side mirrors without turn signals and a blind spot monitor, and you want to upgrade to mirrors with those features. In this case, you'll want to upgrade both of your side mirrors. 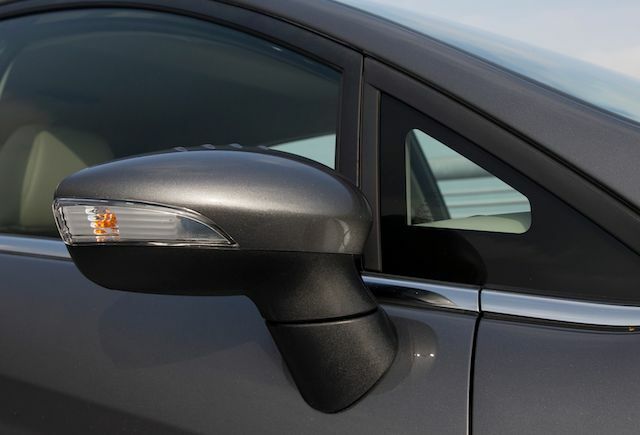 Ford has many different OEM side mirrors available for your model, each one with a unique set of features. Look up your Ford model in our catalog to see all the side mirrors available for your model. A lot of people are tempted to buy aftermarket side mirrors because they’re cheap. What they don’t realize is that aftermarket side mirrors usually cost them more money in the long run. It’s because these mirrors are prone to breaking due to poor fitment, and they're built with inferior quality materials. Also, aftermarket side mirrors usually aren’t backed by warranty, so if your mirror breaks, you’ll have no choice but to buy another one. OEM side mirrors are built to last a long time. Ford makes sure all of its side mirrors are built with the highest quality materials. They also ensure precise fitment on all Ford models. OEM side mirrors are covered by warranty. In the rare case that your OEM side mirror breaks, it’ll be covered by Ford’s 2-year, unlimited mileage warranty. If you want a sturdy and reliable side mirror that will save you money, OEM is the way to go.